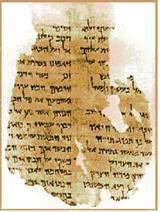 The Haftorah is read from the book of Habakkuk, 3:1-19 Habakkuk is the 8th of the 12 prophets in the Book of Trai-Assar. The connection of the Haftorah to Shavuot: On Shavuot we celebrate Hashem giving Bnei Yisrael the Torah, the 5 Books of Moses. Habakkuk recounts how Hashem lead the nation of Israel "from the south" through the Sinai desert to the land of Israel. The Kohanim carried the Holy Ark containing the Ten Commandments into battle where Hashem never let us down and enabled us to triumph over our enemies. The storyline of this week’s Haftorah: Habakkuk sings a song of prayer to Hashem, regretting his false utterances. Habakkuk says that Hashem will show his anger against the Jews by exiling them from their homeland. Eventually Hashem will save the Jewish people and they will rejoice because they will be reunited with Hashem after returning to their homeland of Israel. Prophet Habakkuk (c. 600 BCE) descended from Jewish exiles in Babylon. The 8th book of the Bible bears his name. The prophet’s famous scriptural phrase says: “the righteous shall live by his faith” [Habakkuk 2,4.] This means that his own faith shall be his faith, which springs forth from the depths of his soul. The meaning of his name is embrace or caress. Known as the Philosopher Prophet. He was a Levite. Lived in the time after the Assyrian's defeated the ten Northern Tribes, and just before the destruction of the first Beit HaMikdash, the Holy Temple that King Solomon built. 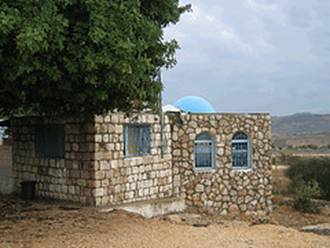 Studied at the school for prophecy called the Benai Haneviem, "The Sons of the Prophets". He was one of four people who spoke harshly against Hashem (The other three were Moshe, David and Jeremiah). He drew a circle around himself in the ground and said “I'm not moving until Hashem explains why the Jews are suffering so much.” He questioned, "Why do the evil people prosper?" specifically regarding the injustice of the Babylonian's having power over the Jews. His peers were the prophets Joel, Nahum, Jeremiah and Zephaniah. Menashe, the evil King of Judah reigned during his time. Habakkuk wrote his own 3 chapter book. Habakkuk's prophecies lasted for 55 years, although not consecutively. Haftorahman's Lesson of the Week: This Haftorah is a great example of "finger pointing”. Habakkuk "Points his finger at Hashem" and says "How can you let these bad guys walk all over us? How are you going to let the Babylonians conquer Jerusalem? I thought you said you were never going to abandon us?" Hashem then responds "You call yourselves the "Chosen People" Why? Take a look at what you choose". Originally Hashem asked all the nations of the world if they wanted to be G-d's people and wanted the Torah. The Israelites were the only nation to say "We will do, and then we will listen." Hashem continues "Not only did you not listen, look at what you did! Idol worshipping in the Holy Temple, speaking lashon hara (slander), jealousy, adultery, dishonest business deals, paying off judges and on and on. Do I need to say more? You shouldn't be disappointed with me. You're lucky that I am a merciful G-d. I should wipe you out, but I am not. I'm just going to straighten you out. Then you will behave yourselves and appreciate me.” It's so easy to point the finger at someone else to blame them. But remember: When you point your finger at another person, you are pointing three at yourself. Timeline: Habakkuk lived in the Israelite year 3250 about 2,530 years ago, before the destruction of the 1st Beit HaMikdash. Map: Habakkuk’s prophecies took place in the City of Jerusalem in the State of Judah.